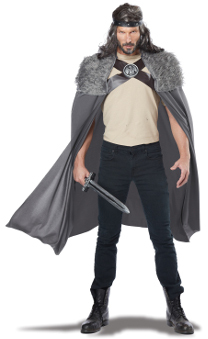 This Dragon Master Cape accessory features a grey cape with fur yoke and crossed chest straps, with a dragon medallion. Cape only. Shirt, headband, trousers, shows and sword not included.